An all-wheel drive truck is a rare animal. It’s also a powerful animal. A truck is always at its peak of performance when it’s in four-wheel drive mode. An AWD truck stays in that mode at all times. It does decrease fuel efficiency, but trucks were never known to be terribly generous with their fuel consumption to begin with. What’s more important is the fact that an AWD truck utilizes its advanced tracking system to distribute power to all four wheels at all times. That makes it a beast on any terrain you can drive it on. The best AWD trucks exhibit mountain-goat type status, climbing rugged, rocky hills and wading through swampy marshes as if they were rolled off the assembly line and dumped directly into the everglades for baptism. We’ve searched all the usual reliable resources (Car and Driver, Consumer Reports, Edmunds, and Motor Trend) to find out which of these power-packing pickups should be on your list as the best 2010-2011 AWD trucks. This is a power machine that works just like an ox hauls but drives like a dove flies. Its size is about the only negative to this AWD wonder, making it rather difficult to maneuver in tight spots. 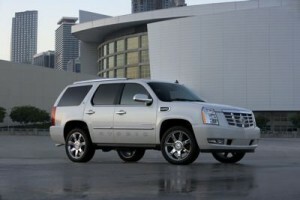 Its 6.2L V8 engine hammers out 403 horses and 417 lb-ft. of torque. 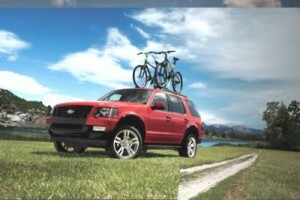 That power is fed to all four wheels via a six-speed automatic transmission with a tow/haul mode. A manual mode is also available but is rather awkward to get accustomed to since the controls are mounted on the column. The 2010-2011 model years adapted the cylinder deactivation technology, increasing fuel efficiency to 13/18 mpg (city/highway). The Escalade earned a perfect five stars in all crash testing, but make sure you give it plenty of time to stop as this 3-ton beast slowed from 60 mph in 140 feet. Technically, this one can be classified as either truck or SUV, only enhancing its versatility factor for buyers, thanks to its midgate design. This design makes the transition from SUV to pickup smooth and trouble-less. As with most Caddies, luxurious options abound. “Just like most modern pickups, the GMC Sierra 1500 is actually pleasant to drive. 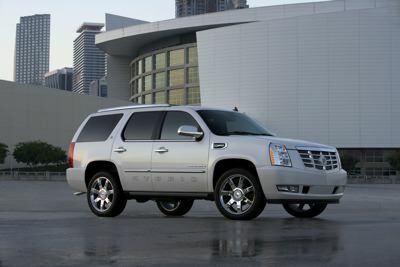 The steering is light but reasonably precise, and the truck’s comfortable seats and smooth, quiet ride make road trips enjoyable.” (www.edmunds.com) The 6.2L V8 is standard on the Denali and gives ample power at 403 horses. Towing capacity is one of the best in this class at 10,700 pounds properly equipped. The interior is upgraded tremendously from base models, with an upscale dashboard, attractive wood grain, and metallic accents. The rear seats utilize flip-up cushions which reveal a nearly flat floor, and the latest version of OnStar 9.0 provides improved audio quality and speech recognition.